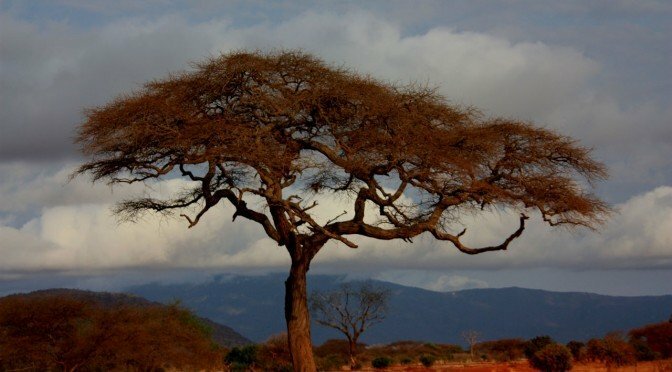 For many people in the word, East Africa and safaris go hand in hand. It is no wonder, therefore, that when people travel to Tanzania, going on safari is a top priority for many. How Does Mikumi National Park Compare to Other National Parks in Tanzania? Mikumi National Park is the 4th largest national park in Tanzania and an easy four-hour drive from Dar es Salaam (if you know how to navigate the heavy traffic leaving and entering town). 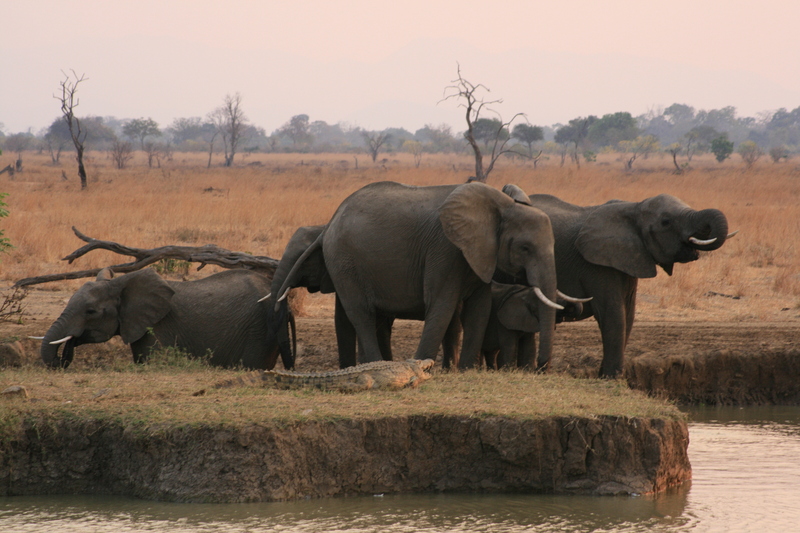 It shares an ecosystem with Selous Game Reserve, Tanzania’s largest game reserve (also one of the largest in the world) and animals travel freely between the two protected areas. This is how, last September, when looking for a place to take my boyfriend (who had never been on safari) for his birthday, the obvious choice was to take him on a surprise visit to Mikumi National Park, one of the closest national parks to Dar es Salaam (Saadani National Park is technically closer but more sparsely populated in terms of wildlife). Around the same time, one of my closest childhood friends and her recently-married husband were in Tanzania—it was her first time—so killing two birds with one stone, we decided to make a travel double date of it. My friend’s husband highly recommended a partially Swiss-owned hotel, Tan-Swiss Lodge (Booking.com Rating: 8.6/10 – Fabulous), where he had stayed on a previous visit to Tanzania. He told us we would be able to book our safari through them. Following his recommendation, we made our accommodation and safari bookings online, paying for it upfront (which had me a little apprehensive at first) with a bank transfer. On the appointed date, we left Dar es Salaam using a back route in order to avoid traffic. In no time, we were in Chalinze, where we stopped at the Kobil Restaurant to have samosas that my friend’s husband told us were not to be missed. After browsing through the crafts that were on sale next to the restaurant, we got back on the road. 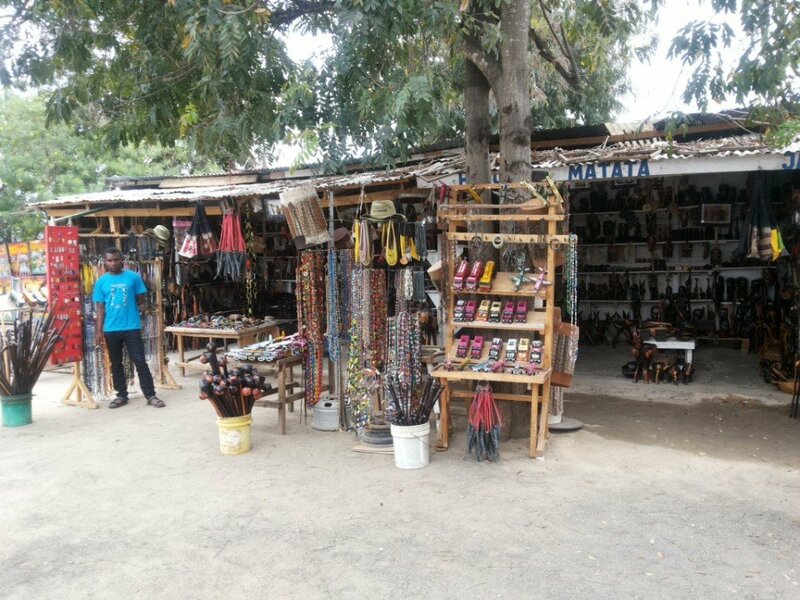 In about two hours, we saw two huge signs straddling the highway announcing that we were entering Mikumi National Park and that there was a danger of encountering wild animals on the next 50 km stretch of road. 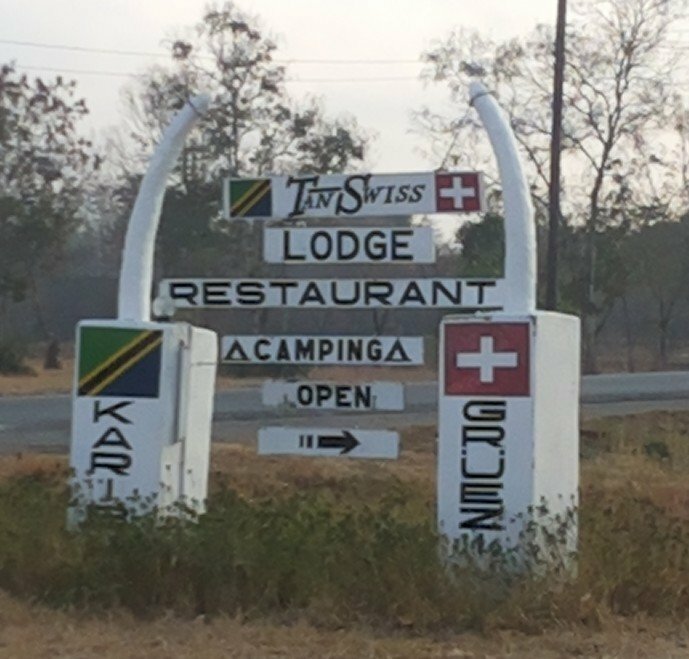 Although we had reached the boundary of the park, we still had a way to travel: Tan-Swiss Lodge is 2 km past the park when traveling away from Dar es Salaam. As soon as we passed the road sign, our safari experience unofficially began. Without leaving the main road we started to see animals—giraffes, elephants, monkeys, and antelope—that had us squealing with delight. We drove fairly quickly through the national park, slowing down occasionally to take pictures, because we wanted to get to Tan-Swiss Lodge before dark. Shortly after we saw road signs telling us that we were leaving the park, we spotted the Tan-Swiss Lodge sign to our left. (Tan-Swiss Lodge is located on the highway so if you travel by public means, your bus driver can drop you off right in front of the hotel). When we finally got to our destination, we were greeted with a refreshing drink and shown to our rooms. 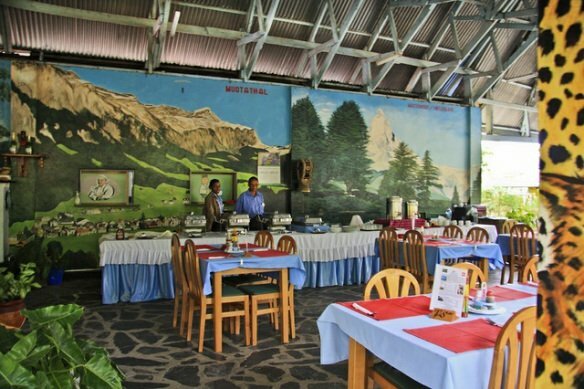 In booking Tan-Swiss Lodge, my friends and I knew that at US$65 a night for a double room, we were budget traveling. When I got to the lodge though, I was impressed with the infrastructure and the lengths to which the lodge had gone to make it look as pleasant as possible. Although the infrastructure was basic, the grounds were spacious and the walls were painted with lively safari-inspired patterns and murals. We freshened up for the evening and regrouped at the restaurant for dinner. My experience from previous safaris had taught me that unless I was staying somewhere upscale, the last thing to expect on safari was good food. Still, I was not very hungry that first night, so decided against my better judgement to order a sandwich, hoping at the very least that it would be edible. Not only was the sandwich edible but made with good quality homemade bread, good cheese, and was even warm if I recall correctly. The sandwich was good by any standards. I make a big deal about this because that’s one of the things that stood out for me at Tan-Swiss Lodge: the food. I enjoyed every meal I ate there and was floored by small things such as the sandwich I had at dinner that night or the breakfast I had the next two mornings. Breakfast included homemade bread (think: pain de campagne), espresso, bacon, sausages, baked beans, eggs, and believe it or not, when my friend asked if they had any feta cheese (which we both love), surely enough, they gave us complimentary feta cheese. My travel companions and I had dinner, took advantage of the very well-stocked bar, and then decided to call it a night. The next morning we would be up at the crack of dawn for a full-day safari. The following day for me began with a very hot shower in the neat, clean, spacious bathrooms at Tan-Swiss Lodge (something else that stood out for me), and after a hearty breakfast, off we went in the lodge’s gisty open-air safari vehicle with our guide in tow. In minutes, we were at the gate of Mikumi National Park, where we stopped to pay park entrance fees. The Tanzanians in our group were charged Tsh. 10,000 each, while the non-East Africans were charged US$30 per person. We had all assumed we would be able to pay for our park entrance fees in cash but quickly realized that we would have to pay by credit or debit card. Luckily, I had my debit card on me so with that quickly sorted, we entered the park. 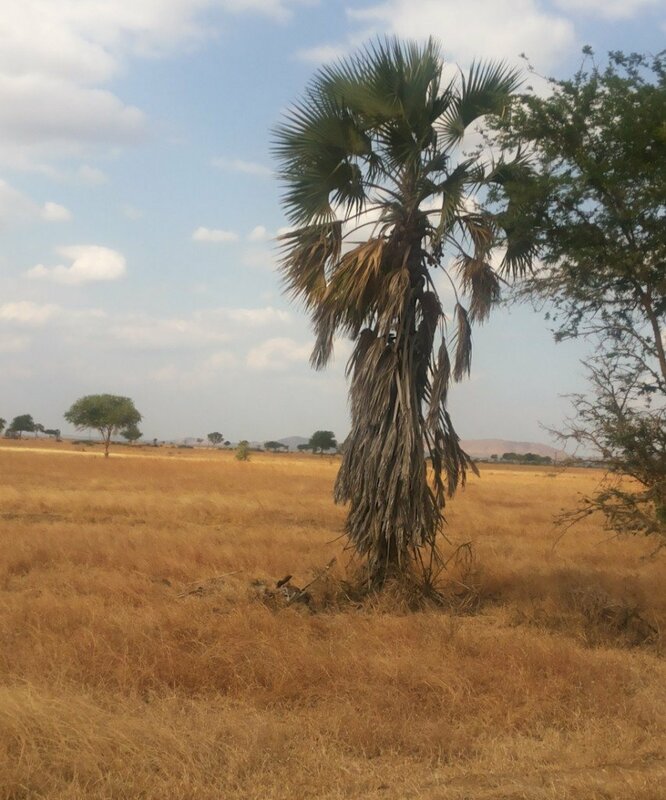 September is dry season in Mikumi National Park, so everything was shades of brown. Some of the grass had been burned to help it grow better once the rainy season began. The scenery was beautiful and reminded me a lot of the Serengeti plains. 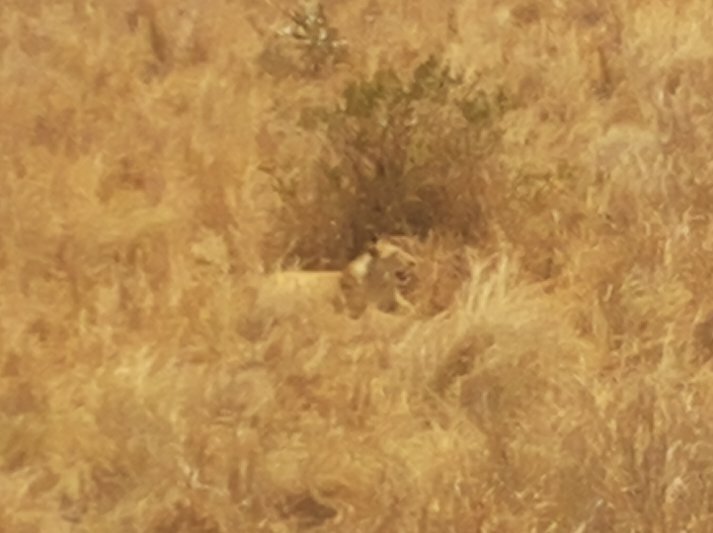 Although it is said that lions can only occasionally be seen in Mikumi National Park, we were lucky: our first interesting animal sighting of the day was a full-maned lion hiding in the brush. 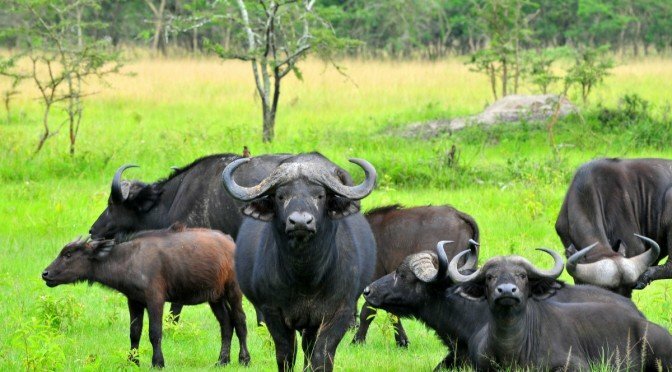 When Is the Best Time to Go to Mikumi National Park? Although game can be seen in Mikumi National Park throughout the year, it’s best visited in the dry season from late June to end-October. One of the reasons for this is that, in the dry season, animals congregate around two watering holes and are therefore easy to see in large numbers. After driving around for a while looking at the scenery and seeing whatever animals we were lucky enough to chance upon, we decided mid-morning to visit one of the watering holes to watch the animals as they drank. As we approached the watering hole, we found a pride of not 1, not 2, but 7(!) lions lazing around under a tree. We stopped to watch them, mesmerized, hoping they would do something interesting for us. Alas, other than one lion that slept on its back, limbs in the air (I didn’t know lions did that), they just kept on lying languidly about. We went on to the watering hole, where just as we were arriving, a herd of elephants arrived too. There were other animals around—wildebeest, zebra, and giraffes—but our guide told us that it was the hierarchy of the jungle for elephants to drink first. We watched them as they slowly and majestically drank their fill. As they made to leave, something in the corner of our eye caught our attention. Before we could understand what was happening, something whizzed through the herd of animals that were waiting to drink. Some animals got out of the way, but the rest, most notably the giraffes, stood at attention. We realized a lioness had tried to steal a wildebeest calf from the herd. 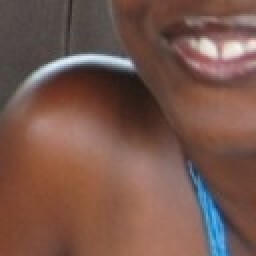 When she failed, she ran away quickly to hide in the tall grass. Luckily for us, although the other animals couldn’t see her, we could see her perfectly. We watched her pant as she tried to catch her breath and hoped she would make another attempt. I couldn’t believe I had just seen a real-life lion hunt! The lioness hiding in the grass after her failed hunt. Can you see her? The lioness did not make a second attempt, so after a while, we decided to break for lunch. The lunch area at Mikumi National Park was also a surprise. Out of nowhere came this scene that made me think of the way celebrations in American farm country are depicted in the movies. It was unlike any lunch area I had seen at other national parks in Tanzania. When we asked our guide about it, he told us that the area had been specifically built for President Obama’s visit to Mikumi National Park (which sadly never took place). Amused, we sat down and took advantage of this unusual lunch area. We continued with our our safari once we were done with lunch. Half-Day or Full-Day Mikumi Safari? My friends and I had debated for a long time whether we should book a half-day or full-day safari. In hindsight, we found the full-day safari long and were all exhausted by the end of it. If I were to do it over again (and money were not an issue), I’d much rather book two half-day safaris: one in the evening and one the following morning because those are the best times to view game anyway. The middle of the afternoon in Tanzania is just too hot, including for animals, so they often hide away under some shade around that time. Early- to mid-afternoon on a safari can often be a let-down after the excitement of the morning and can wear you out so that you don’t fully enjoy the evening when the sun begins to set and the animals come out again. Our early afternoon in Mikumi National Park was rather slow even though we took the opportunity to learn about different trees in the park. We learned that Mikumi National Park got its name from the mikuki tree, and we also got to climb a baobab tree that was over 500 years old! The safari picked up again late in the afternoon when we began to see lots of elephants and went to the other watering hole, the Hippo Pool, where we saw a beautiful sunset as well as got to watch hippos and crocodiles. We were out of the park by 7:00 p.m. as the regulation requires for visitors not spending the night in Mikumi National Park, and off we went back to the lodge to enjoy the last evening of our trip. They say familiarity breeds contempt, which may be why so many people undervalue the Mikumi National Park safari experience. Having visited 6 other protected areas in Tanzania including the great Serengeti and the Ngorongoro Crater, I truly believe that Mikumi National Park is as authentic a safari experience as any other in the country. 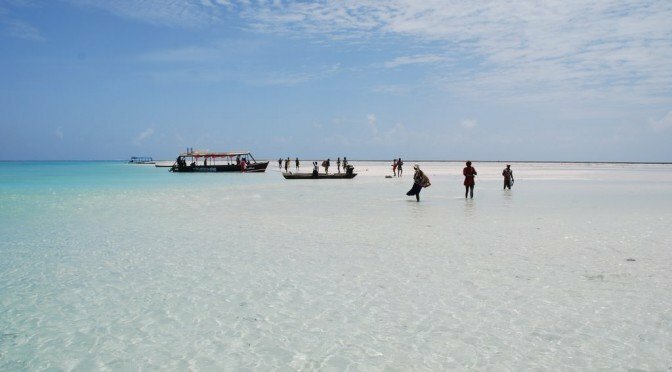 If you are in Dar es Salaam and have only a few days to travel or are on a limited budget (or are looking for something to do over the weekend), I recommend it wholeheartedly. 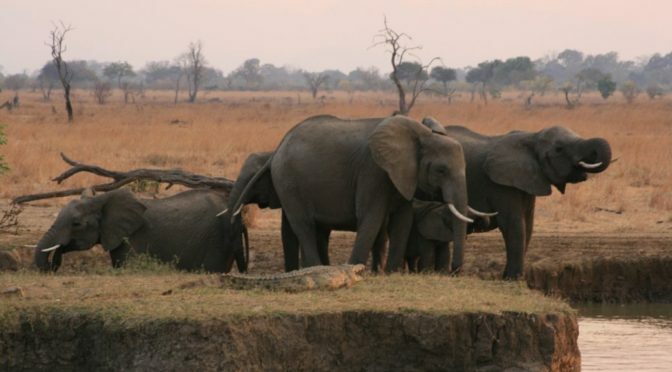 Have you been to Mikumi National Park? If so, do you agree with me? What would you like to share with others about your travel experiences at this park? Let me know in the comment section below! Lake Mburo National Park: Small but So worth It!